Amazing hostel, the location is amazing, the place is incredible, comfy beds, lockers in the rooms, friendly staff, everything very clean. I super recommend. 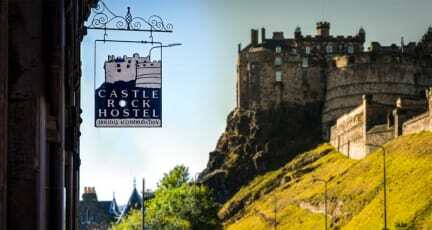 Castle Rock is a great hostel option in Edinburgh. To be able to stay right next to the castle for such a bargain price is really fantastic. The rooms have some fun themes (I was very excited to be in the Hogwarts room), and practical touches like lockers, and plug sockets and lights by each bed. Breakfast is fine, and there are a variety of common areas to enjoy. The rooms all smell like a typical hostel room, which is the only real downside, and I guess can’t be helped.